So, you just got a model plane or maybe a helicopter, multi-rotor or drone from the internet, local shop or as a Christmas gift. Yes, there are. But they are not that complicated. These rules apply to RC planes, helicopters and multi-rotors or drones as they are now often called. CAA (Civil Aviation Authority) make the rules. MFNZ (Model Flying NZ) look after the clubs and talk to CAA on behalf of all model flyers. Simple really. You could get into trouble with CAA or the police. You may also upset other model flyers if they think you are doing something that may jeopardize their freedom to fly model planes. CAA have recently heavily fined several drone pilots for flying in restricted air space. The two big ones are to make sure that you are clear of airports and controlled air space, and to stay below 400 feet altitude. Ignoring these rules will upset everybody. Consider that you may be in full control of your model or drone (most of the time) but that other people nearby are not so sure. If you make them nervous you may create a problem. These guys will be able to help you with you plane or drone and guide you to local popular local flying locations. Many clubs now have members experimenting with the latest gadgets, such as Cameras, video, FPV (live video), multi-rotors, auto-pilots, stability controllers etc. Learning to fly with some experienced flyers will save you a lot of time and likely reduce the cost. The MFNZ web site has a list of clubs and contact details. You may one day see a model plane or more likely a drone flying in a public place over groups of people, roads, cars or buildings, in a way that is of concern. Remember: This is a judgement call. Everyone perceives actions and dangers differently. How dangerous is a model plane or multi-rotor? If a plane, it may weigh less than 1Kg and be made mostly of foam and plastic. Whatever it is, the operator probably doesn’t want to put anyone at risk or risk damaging their model or drone. It may be an authorized operation – they know what they are doing and are allowed to do it. Note: CAA are interested in Safety, Privacy is something else. Privacy is a completely different set of rules that have existed since before drones were available. Don’t be too concerned about “drones with cameras”. They see much less detail than you think. You probably should be more worried about all the people around you with cell phones. You may think that it is not really a problem, but we have to deal with the news media and crazy old farts who think every flying machine is trying to photograph them in their underwear. The news media is a problem because they are simply after shocking headlines and will blow anything out of proportion to get them. Gone are the days that it was actually news; it is now just another form of reality TV entertainment. So don’t give them anything to latch on to. CAA make rules to protect full size aviation; planes and helicopters. Model aircraft pilots have had a long and safe history of flying in New Zealand. Now we have cheap and easy to get “drones” from the local toy shop. Everyone (airline pilots to model pilots) is now concerned that these drones flown without due care will put people at risk and will create a fuss, cause safety concerns and jeopardize our freedom to fly RC models of all types. Model flying is already more difficult than it was a few years ago because of this. 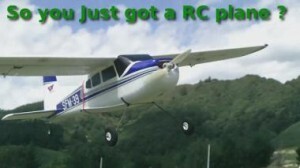 Model RC pilots don’t take kindly to anyone messing with the future of their hobby. Can I fly at the local park or school? That depends on the size and type of model, the area and any specific rules the land owner may apply. If the model is small, what would be considered a park-flyer, quiet and not too fast, then you probably can. The local council will likely have published some basic rules that you should follow, but as long as you don’t bother other park users and consider safety as a high priority it is unlikely anyone will mind. How high and how far will it go? Up to 400 feet above the ground and as far away as you can comfortably see it and safely control it. Any more and you are breaking the rules. If you want to explore the limits, visit your local club or ask on-line before getting adventurous. Parkflyers web site is a good place to talk to like minded flyers. You local model club may have an exemption that lets them fly higher at a particular site.